Be sure to click here or the read more button at the bottom of this link to expand and read the full post. This year marks the 20th anniversary of my globetrotting action-adventure series as a full-size indy comic-book series under my WCG Comics imprint. For those needing a primer to the series, Rob Hanes Adventures features the globetrotting exploits of the newest agent at Justice International, a worldwide private investigation, espionage and security firm. This simple premise has given me the freedom to put the character in a wide variety of settings, taking him to one international hotspot to another, and just as importantly, tell stories that have varied widely in genre and tone, ranging from straight adventure and espionage to light comedy. Along the way, there even has been a sports issue and a romance story! I’ve made no secret of my inspiration for the series: the great syndicated newspaper adventure comic strips that had their heyday from the 1930s through the ‘50s, like Milton Caniff’s Terry and the Pirates, Noel Sickles’ Scorchy Smith, Roy Crane’s Wash Tubbs and Captain Easy and, later, Buz Sawyer. 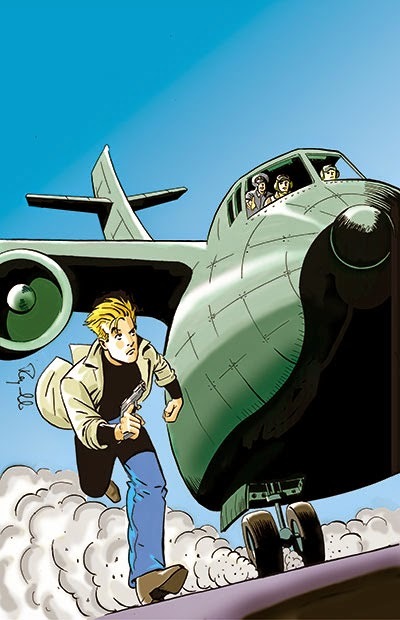 Other major influences include Will Eisner’s Spirit and the work of Alex Toth, another standard-bearer of the classic adventure strips epitomized by Caniff, Sickles and Crane. I'm a fan of modern-day comics too, but for some reason, those classic strips really captured my imagination when I first discovered them in the 1970s in books about comics history. I loved the black and white art and how the stories dove-tailed with real-world events—such as revolutions in South America and World War II—which gave the stories an immediacy I found compelling. However, Rob Hanes Adventures has never traded on nostalgia. I’ve tried to develop a style of my own while staying true to the genre and creating a fun, forward-looking strip that reflects modern-day sensibilities, intrigue and political realities. 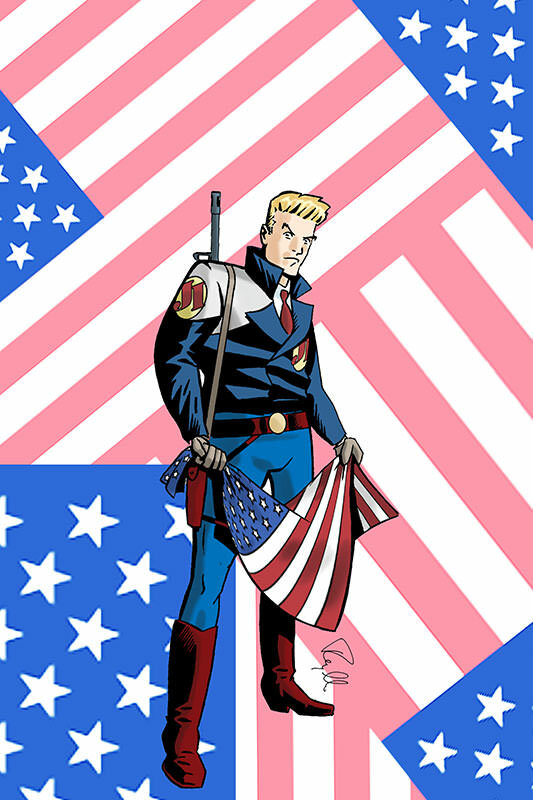 Of course, there’s more than meets the eye when it comes to the long-winding history of the series and the character.1994 is the year that WCG Comics officially became a small business and solicited its first title, Adventure Strip Digest starring Rob Hanes in the direct-sales market. In actuality, however, the roots of the character and WCG Comics go back to the 1970s and the early days of the small press of comics fandom.